March 14, 2009, 3 p.m.
Carl Allen (Jim Carrey) is not having much fun. His life is going nowhere. He’s bored and unhappy. Then he signs up for a self-help course that has one simple rule: say “yes” to everything! Now, Carl is going bungee jumping, learning Korean and doing things he never thought he’d do. But could saying “yes” really be the answer to all his problems? February 14, 2009, 3 p.m.
Twelve-year-old Meggie (Eliza Bennett) and her father Mo (Brendan Fraser) have a fantastic talent. When they read books aloud, the characters come alive. But when Mo creates an evil man, father and daughter have to use their powers to save the world. 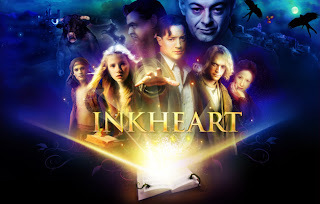 This is the film version of the first book in German writer Cornelia Funke’s “Inkworld” trilogy. The movie has been posponed! 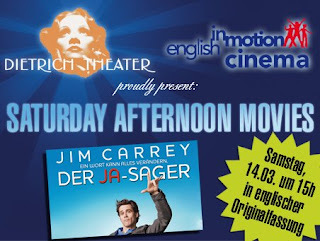 Because of the holidays the movie for January will be shown a week later. in the original English version. December 13, 2008, 3 p.m.
They’re still lost! 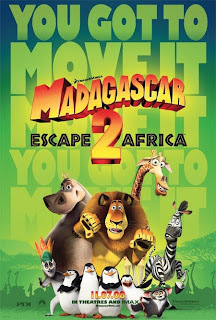 Alex the lion, Marty the zebra, Gloria the hippo and all your favourite New York zoo animals plan to use an old airplane to escape from the island of Madagascar and get back to the US. 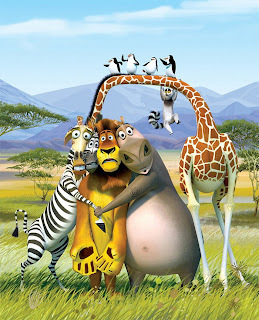 But everything goes wrong, and they land in Africa where they can live like other wild animals. But life in Africa isn’t what they were expecting. 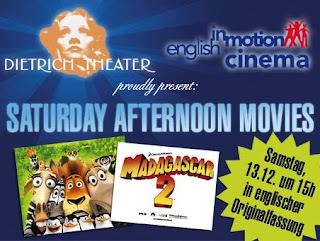 November 8, 2008, 3 p.m.
Every 2nd Saturday of the month, 3 p.m. at the Dietrich Theater in Neu-Ulm Saturday Afternoon Movies !! !